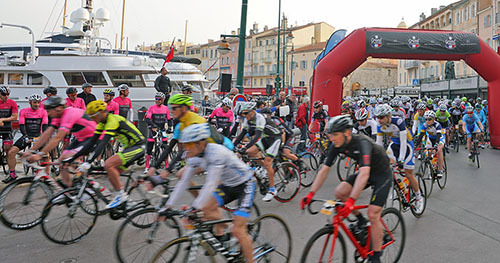 The 31rst edition of the Granfondo Gassin Golfe de Saint Tropez kicks off the Grand Trophée season, which is made up of the most beautiful cycling tours in France. This tour through Val is ideal to slowly warm up after a long and cold winter. The chirping of the crickets and the smell of lavender create an instant summer feeling. Create an account if you are a new Cycling Classics France participant or your account was not recognised.